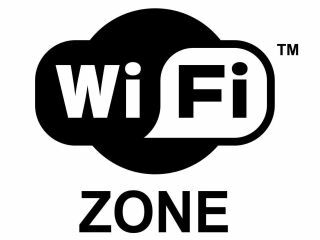 The Wi-Fi Alliance has dropped details about a new Wi-Fi specification which is to take Bluetooth head-on. Called Wi-Fi Direct, the standard allows for peer-to-peer connection between devices even if there's no Wi-Fi router present. "Wi-Fi users worldwide will benefit from a single-technology solution to transfer content and share applications quickly and easily among devices, even when a Wi-Fi access point isn't available," explained Edgar Figueroa, Executive Director for the Wi-Fi Alliance, about the new spec which is said to ship sometime in 2010. Wi-Fi Direct will allow connection between numerous things, like PCs, printers, phone handsets and cameras. Speaking to the BBC, Wi-Fi Alliance's Marketing Director, Kelly Davis-Felner: "This is going to be a quick and convenient way to use Wi-Fi in future to print, synch, share and display. "The consumer is going to experience this as a very easy-to-use mechanism that will be quite seamless." When launched, Wi-Fi Direct will be up against the likes of Bluetooth, which allows the exchange of data between devices within a short distance. Wi-Fi Direct adds speed to this equation, with mooted transfer times of up to 250Mbps. Bluetooth currently tops out at 11Mbps. Let the connectivity battle commence!